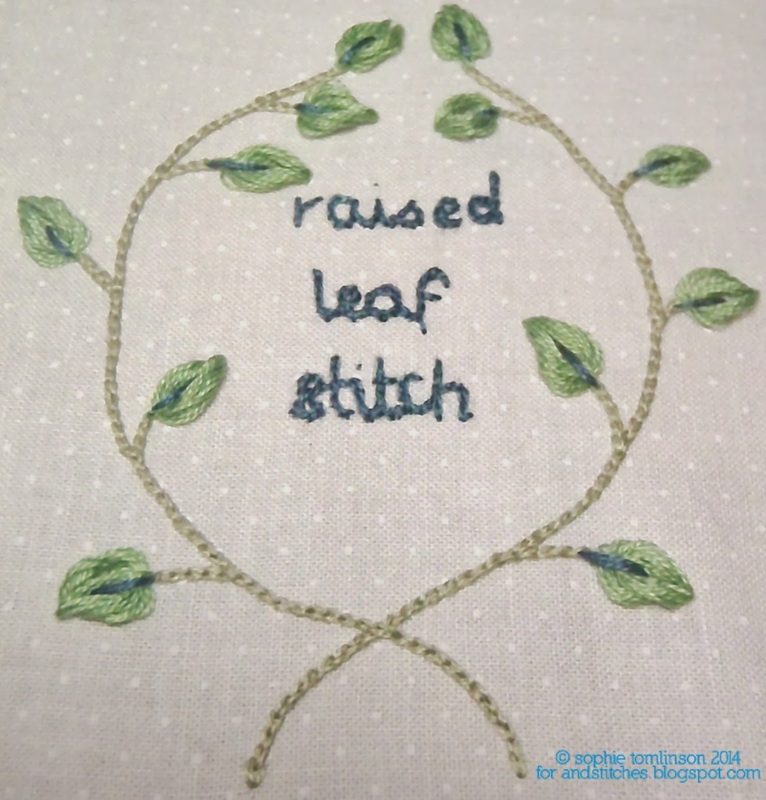 Ever tried the raised leaf stitch? 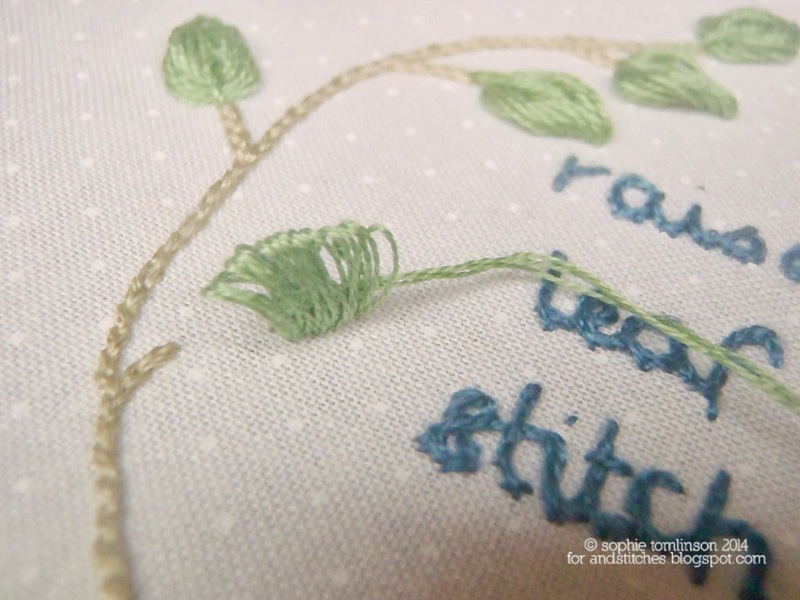 It is a really useful stumpwork stitch - and is actually fairly simple to stitch. You will need a small piece of cardboard to work this stitch. To start, bring your needle through the fabric at the point where you want the tip of your leaf to be. Insert the needle back through the hole and insert your strip of card into the loop. Gently pull your thread tight, hold the card in line with the direction of the leaf (as in the photo above)- you are making a stitch over the piece of card. Keep working stitches in this way, working towards where you want the base of the leaf to be- I made six stitches for these leaves. Note how these stitches finish before where the stem starts. Now take your needle under all the stitches. Carefully slide out the piece of card- you will need to hold the stitches in place as you do this. 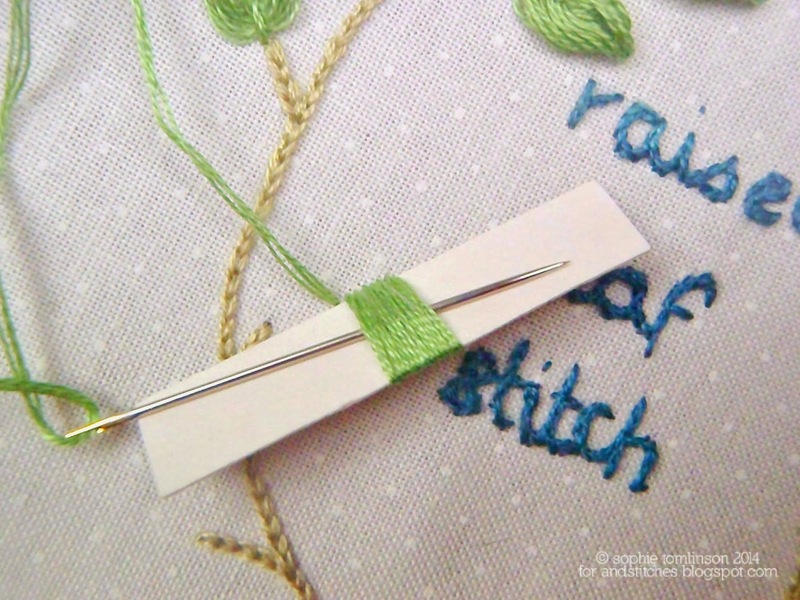 You will have a line of looped stitches with your thread sticking out the end. 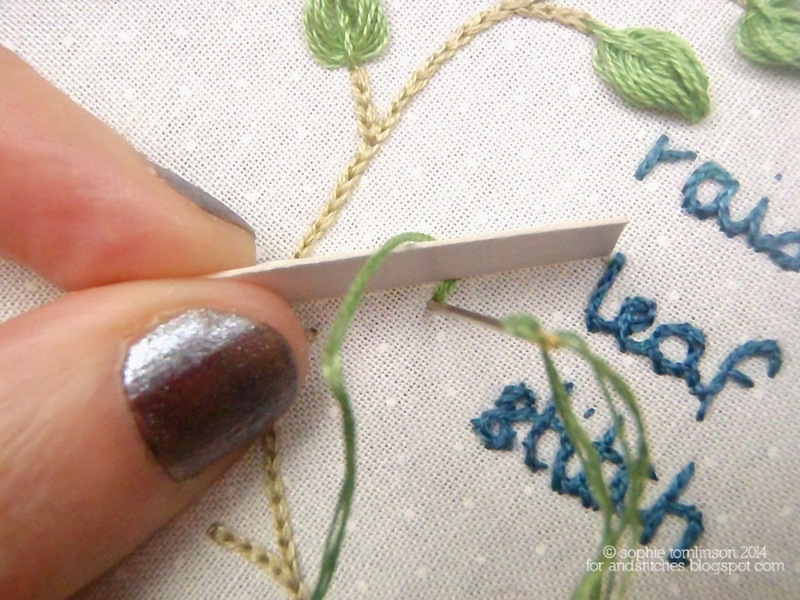 You need to carefully bring your thread back over the loops inserting it where you want the base of the leaf to be. You will probably need to gently shape the threads into a leaf shape with your fingers as you do this. Ta-dah! You have made a cute little leaf which stands up a little from the fabric. 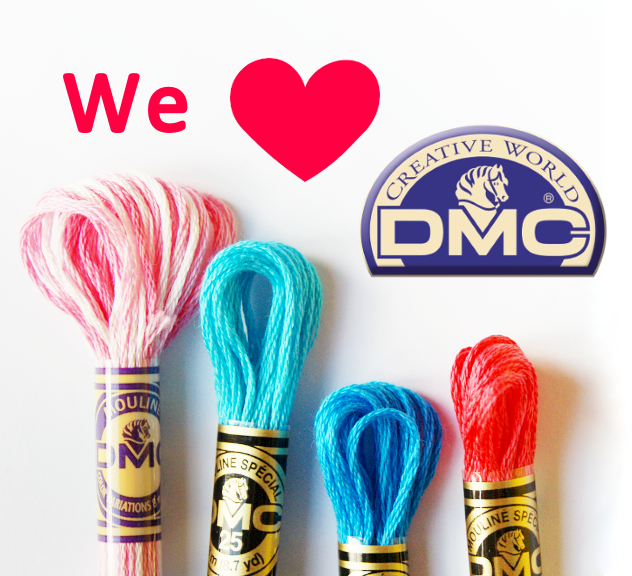 If it's a little untidy don't panic - you can adjust the shape a bit at the end using the tip of your needle. 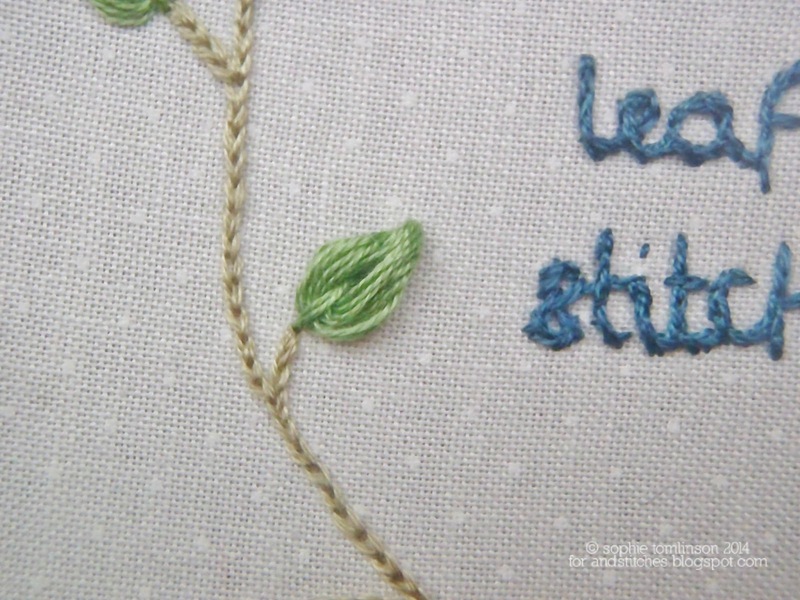 You can also add a contrasting line in the centre of your leaf by making a straight stitch in a different colour. I've never done stump work, but I want to try! This leaf is beautiful and adds a ton of dimension! Great tutorial! Cute. I like the added texture it creates. This is so pretty! I really want to try it. Thanks everyone! Anyone given it a try yet?